It's time for some good news in the BlackBerry world in the wake of layoffs, stock drops, and uncertainty about the future of the Playbook. RIM has released a BBM Social Platform SDK in an effort to help developers create so-called Super Apps both to run natively on BlackBerry phones and as web apps by adding BBM functionality to apps. 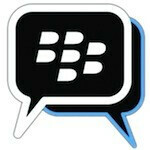 RIM wants developers to be able to leverage the 45 million worldwide BBM users in order to create more interesting social interactions within their apps. The BBM Social Platform SDK for BlackBerry Java will add functionality for developers creating native BlackBerry apps. One thing devs will be able to do is have apps send BBM invites to people who aren't on a user's contact list, which should make it easier for apps to allow you to build your BBM contacts through other social networks like Facebook or Twitter. 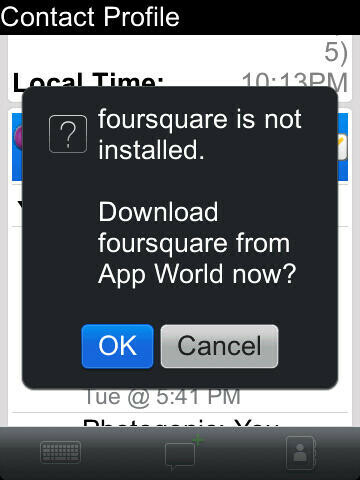 Apps will also be able to initiate invites to users who don't have the app installed, which works the opposite way, allowing apps to increase their install base by leveraging the BBM community. Devs will also be able to build a contact chooser UI into their app, so users can initiate group BBM chats from within an app. The SDK for BlackBerry WebWorks will add functionality for developers creative web apps for BlackBerry users. The SDK includes APIs to allow web apps to: let users update their BBM profile status, avatar and personal message; initiate BBM chats; initiate file transfers; share applications; and allow app-to-app background communication. This last feature is potentially the most powerful and could be behind multiplayer gaming or even in-app chat. The new SDK looks to be a powerful set of tools for developers to make some very interesting things, and while the BlackBerry user base is shrinking, it is still very large. At best, these tools will help slow the decline of BlackBerry or even bring the company back a bit, and at worst, these tools should be able to transfer over when RIM is forced to make BBM cross-platform. One bit of bad news is that you'll need BlackBerry 6 in order to take advantage of these new features, so you may have to wait patiently for BB6 before joining the fun. How many of the 45 million worldwide users are on BB6?